Tea tree essential oil—sometimes also called melaleuca oil—has been used for centuries to treat wounds and other skin conditions. The oil may be applied topically or added to skin lotions and products. Tea tree oil contains constituents called terpenoids, which have been found to have antiseptic and antifungal activity. The compound terpinen-4-ol is the most abundant and is thought to be responsible for most of tea tree oil's antimicrobial activity. So far, research on the use of tea tree oil is limited so it is unclear if the oil can treat any of these illnesses. If you're considering using tea tree oil to treat any medical condition, talk to your doctor first. Keep in mind that tea tree oil should not be used as a substitute for standard care in the treatment of any health condition. A randomized controlled trial examined the use of 25 percent tea tree oil solution, 50 percent tea tree oil solution, or placebo in 158 people with athlete's foot. After twice daily applications for four weeks, the two tea tree oil solutions were found to be significantly more effective than placebo. In the 50 percent tea tree oil group, 64 percent were cured, compared to 31 percent in the placebo group. Four people using the tea tree oil withdrew from the study because they developed dermatitis (which improved after discontinuing tea tree oil use). Otherwise, there were no significant side effects. Another randomized, controlled trial examined the effectiveness and safety of a cream containing 5 percent tea tree oil and 2 percent butenafine hydrochloride in 60 people with toenail fungal infection. After 16 weeks, 80 percent of people using the cream had a significant improvement compared to none in the placebo group. Side effects included mild inflammation. A third double-blind study looked at 100 percent tea tree oil compared with a topical antifungal, clotrimazole, in 112 people with fungal infections of the toenails. The tea tree oil was as effective as the antifungal. A single-blind randomized trial by the Department of Dermatology at the Royal Prince Alfred Hospital in Australia compared the effectiveness and tolerance of 5 percent tea tree oil gel with 5 percent benzoyl peroxide lotion in 124 people with mild to moderate acne. People in both groups had a significant reduction in inflamed and non-inflamed acne lesions (open and closed comedones) over the three month period, although tea tree oil was less effective than benzoyl peroxide. Although the tea tree oil took longer to work initially, there were fewer side effects with tea tree oil. In the benzoyl peroxide group, 79 percent of people had side effects including itching, stinging, burning, and dryness. Researchers noted that there were far fewer side effects in the tea tree oil group. A single-blind study examined the use of 5 percent tea tree oil shampoo or placebo in 126 people with mild to moderate dandruff. After four weeks, the tea tree oil shampoo significantly reduced symptoms of dandruff. See other natural remedies for dandruff for tips on fighting the flakes naturally. Tea tree oil is usually safe if used diluted in small amounts topically (on top of the skin). Occasionally, people may have allergic reactions to tea tree oil, ranging from mild contact dermatitis to severe blisters and rashes. One study shows that tea tree oil may alter hormone levels. There have been three case reports of topical tea tree oil products causing unexplained breast enlargement in boys. People with hormone-sensitive cancers or pregnant or nursing women should avoid tea tree oil. Tea tree oil should not be taken internally, even in small quantities. It can cause impaired immune function, diarrhea, and potentially fatal central nervous system depression (excessive drowsiness, sleepiness, confusion, coma). Tea tree oil, like any essential oil, can be absorbed through the skin. It should not be used full-strength (undiluted) on the skin — even small amounts can result in toxicity. Seek medical attention if you experience symptoms of overdose: excessive drowsiness, sleepiness, poor coordination, diarrhea, vomiting. Avoid tea tree oil if you are pregnant or breastfeeding. Keep tea tree oil out of the reach of children and pets. Various doses of tea tree oil have been studied by researchers. For example, to treat acne, a treatment of 5 percent tea tree oil gel applied daily is used in clinical trials. More concentrated solutions have been studied for athlete's foot, nail fungus, and other conditions. The amount of tea tree oil and the appropriate preparation that is right for you may depend on a number of factors including your age, gender, and medical health. Always speak to a healthcare provider to get personalized advice. As with any supplement, the NIH recommends that you check the Supplement Facts label on the product that you buy. This label will contain information about the concentration of the product and any ingredients that have been added. In addition, the organization suggests that you look for a product that contains a seal of approval from a third party organization that provides quality testing. These organizations include U.S. Pharmacopeia, ConsumerLab.com, and NSF International. A seal of approval from one of these organizations does not guarantee the product's safety or effectiveness but it does provide assurance that the product was properly manufactured, contains the ingredients listed on the label, and does not contain harmful levels of contaminants. Lastly, tea tree oil should not be confused with Chinese tea oil, cajeput oil, kanuka oil, manuka oil, ti tree oil, and niaouli oil. Bassett IB, Pannowitz DL, Barnetson RS. A Comparative Study of Tea-Tree Oil Versus Benzoylperoxide in the Treatment of Acne. Med J Aust. (1990) 153 (8): 455-458. Buck DS, Nidorf DM, Addino JG. Comparison of Two Topical Preparations for the Treatment of Onychomycosis: Melaleuca Alternifolia (Tea Tree) Oil and Clotrimazole. J Fam Pract. (1994) 38 (6): 601-605. Crawford GH, Sciacca JR, James WD. 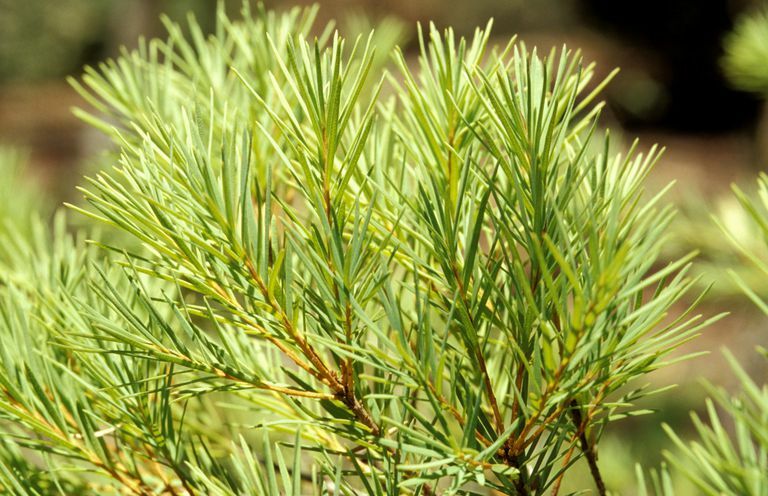 Tea Tree Oil: Cutaneous Effects of the Extracted Oil of Melaleuca Alternifolia. Dermatitis. (2004) 15 (2): 59-66. Hammer KA, Carson CF, Riley TV, Nielsen JB. A Review of the Toxicity of Melaleuca Alternifolia (Tea Tree) Oil. Food Chem Toxicol. (2006) 44 (5): 616-625.
Henley D, Lipson N, Korach K, Bloch C. Prepubertal Gynecomastia Linked to Lavender and Tea Tree Oils. "New England Journal of Medicine", Feb. 1, 2007. Morris MC, Donoghue A, Markowitz JA, Osterhoudt KC. Ingestion of Tea Tree Oil (Melaleuca Oil) By a 4-Year-Old Boy. Pediatr Emerg Care. (2003) 19 (3): 169-171. Satchell AC, Saurajen A, Bell C, Barnetson RS. Treatment of Interdigital Tinea Pedis With 25% and 50% Tea Tree Oil Solution: A Randomized, Placebo-Controlled, Blinded Study. Australas J Dermatol. (2002) 43 (3): 175-178. Satchell AC, Saurajen A, Bell C, Barnetson RS. Treatment of Dandruff With 5% Tea Tree Oil Shampoo. J Am Acad Dermatol. (2002) 47(6) :852-855. Syed TA, Qureshi ZA, Ali SM, Ahmad S, Ahmad SA. Treatment of Toenail Onychomycosis With 2% Butenafine and 5% Melaleuca Alternifolia (Tea Tree) Oil in Cream. Trop Med Int Health. (1999) 4 (4): 284-287.